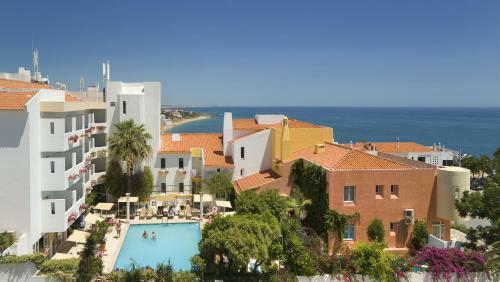 Apartment in Albufeira III offers accommodation in Albufeira, 500 metres from Old Town Square. Guests benefit from terrace and a seasonal outdoor pool. Free WiFi is offered throughout the property. 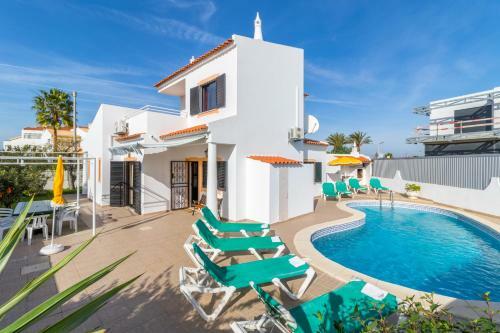 The villa is situated in the residential area about 5.0 km from in the city of Albufeira, about 3 km from the sea and restaurants are located about 1 km away. Villa Noly offers accommodation in Albufeira, 3.3 km from Oura Beach and 3.3 km from The Strip - Albufeira. You can fire up the barbecue for a tasty meal and enjoy the garden in fair weather. Free WiFi is featured . Located in Albufeira in the Algarve Region, this detached holiday home is 3.9 km from Albufeira Marina. Guests benefit from balcony. Free private parking is available on site. The kitchen is fitted with a dishwasher and an oven. With panoramic views of Albufeira Bay, Hotel do Cerro offers comfortable rooms and facilities such as indoor and outdoor pools, a fitness room and a spa.